Everyone knows of iconic signs such as the Hollywood sign, but until recently I didn’t realize there was one right in my backyard — the Murrysville tree sign. This super-unique sign was constructed in 1933 by local Boy Scouts. 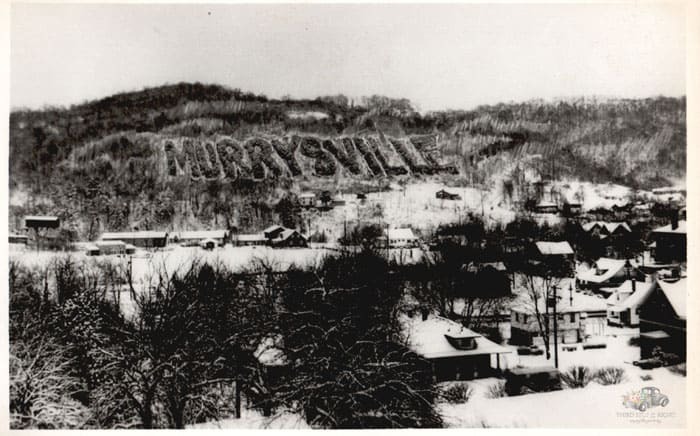 The trees were planted so when they grew they spelled the word “Murrysville.” The sign is situated on a hillside overlooking Pleasant Valley Road right off the Murrysville-Monroeville boarder along Route 22. The sign is located just above the Haymaker Gas Well, which was the nation’s first commercial natural gas well. For years, it was the largest commercial gas well in the world. The tree sign actual pays homage to this by constructing it so that the “Y” in the sign points to the Haymaker Gas Well. It hasn’t been easy to maintain the sign, however. Each letter stands approximately 150 feet high and are 30 to 40 feet tall. 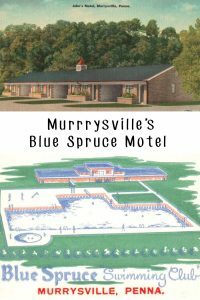 While the Sportsman and Landowners Alliance of Murrysville has been mowing and clearing the site since 1977, many of its members are getting older and can’t keep up with the maintenance. The trees have been trimmed and a group of Amish hired to clear the area, it is still a daunting task. Unfortunately, even with maintenance, the tree sign won’t last forever. As it stands, the tree sign will only last another five to ten years. The trees are getting bigger and will eventually start growing together and losing their definition. 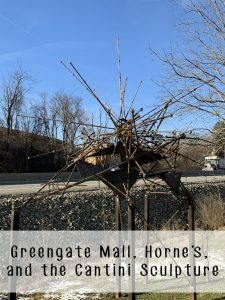 Once the trees start growing together, the only option to preserve the iconic sign would be a cut and replant project which could cost $100,000. 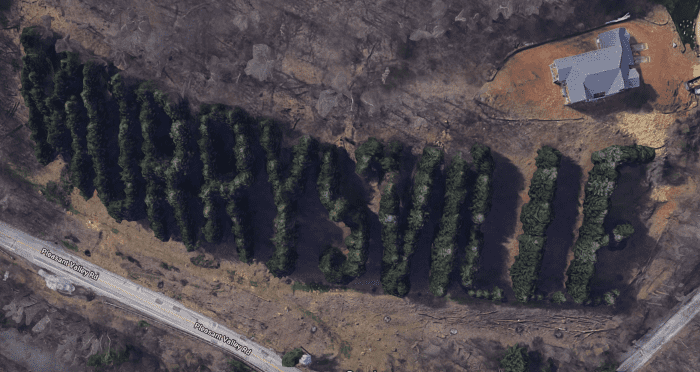 You know I love using Google Maps for research so I decided to check out an aerial view of the Murrysville tree sign on the hillside. Plus, you can see where it is located in relation to Route 22. Just click on the map above and zoom in to see the sign for yourself.